LAKE PLACID — Caymus loves his toys, he likes holding onto them, and you won’t find him leaving them lying around. He’s a 6-year-old black Lab-pit bull mix. When the dog goes on his walks around the village with his owner, Tim Robinson, he grabs a toy off their apartment porch and brings it with him. 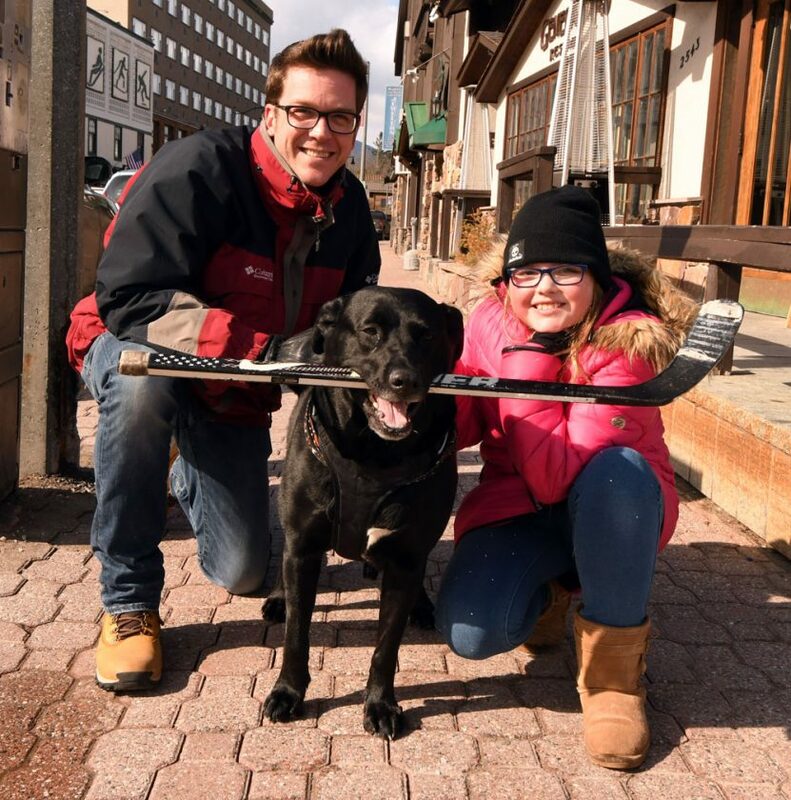 On Wednesday, Caymus was spotted on Main Street with a hockey stick clenched in his jaws while enjoying a walk with Robinson and Robinson’s daughter Rylee. Robinson explained that Caymus is very good at finding and adopting new toys, adding that his pooch discovered the hockey stick about two weeks ago on the snow-covered beach at Mirror Lake. And once the dog happens across something he likes, it’s finders keepers. He certainly hangs onto those treasures. Caymus’s most recent find was a hockey puck that was revealed by the melting snow. Robinson said that earlier this week, members of the gold-medal-winning 1980 United States Olympic hockey team — who were in the village for the annual Miracle on Ice Fantasy Camp — spotted Caymus toting the puck and really got a kick out of the sight. Robinson said that before heading out on a walk, Caymus decides what toy he wants to take on the trip. Robinson co-owns Terry Robards Wine & Spirits with his mother Julie Robards. The shop in Lake Placid was founded an operated for many years by his stepfather Terry Robards, who recently retired and passed the business along. In addition to being a familiar sight on the streets of Lake Placid, Robinson’s beloved canine also has other claims to fame. Caymus was the June centerfold in the 2017 Tito’s Vodka for Dog People calendar, and he also has his own Instagram account: @famous_caymus.